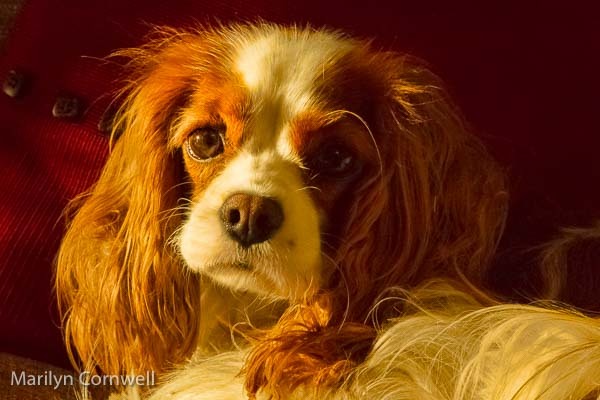 This is Dezi, our Cavalier King Charles Spaniel. Is she a little grumpy here? I think so. It seems to look like she's saying: "Why are you bothering me with your camera?" or even "Stop that". Canine body language is the sum of a dog's facial expressions and body postures that communicate their emotions and intentions to those around them. It’s up to us to learn how to interpret this language. What is your guess on Dezi's words? I found some fun and interesting things on dog talk.